KATHMANDU, Nov 18: Nepal has abstained from voting on UN’s resolution on the human rights violation of Rohingya Muslims in Myanmar. Nepal was among 26 countries which abstained from voting during a committee meeting of the UN General Assembly on Friday, states a press release issued by the United Nations. During the meeting, Nepal’s representative expressed gratitude to Bangladesh for hosting Rohingya refugees. On the occasion, Nepal stressed that the displaced persons have the right to return home. A total of 142 countries voted in favor of the resolution and 10 countries stood against it, the United Nations said. Those countries to vote against the resolution were Myanmar, China and Russia among others. The resolution was pushed by the European Union and the Organization of Islamic Cooperation. On the occasion, Myanmar’s representatives objected to the resolution, defending the country’s handling of the Rohingya crisis including the setting up of an independent panel to investigate the allegations of human rights violations against the Rohingya. The motion has acknowledged “with grave concern” the remarks made by UN Secretary-General Antonio Guterres and other officials who have labeled the persecution “ethnic cleansing” and “strongly condemns” all violations and abuses of human rights in Myanmar. 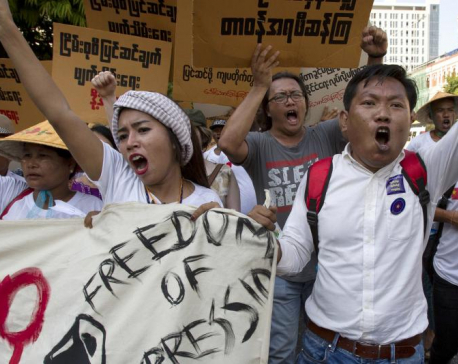 The resolution has urged Myanmar’s authorities to ensure that those responsible for the rights violations and abuses are held accountable and removed from power. 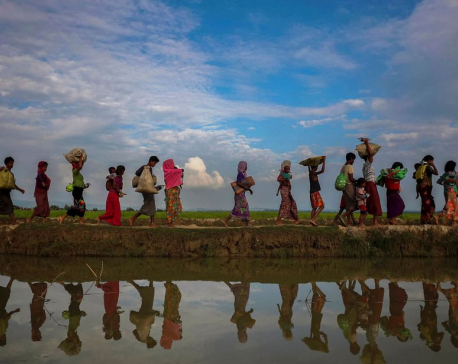 According to the Office of the UN High Commissioner for Refugees, more than 720,000 Rohingya Muslims have fled from Rakhine state to neighboring Bangladesh since the latest round of violence erupted in August last year. The resolution will now be put to a vote in a plenary session of the General Assembly where it is expected to be adopted in December, according to reports. However, this is not the first time Nepal has abstained from voting on a UNGA resolution. In December 2016, Nepal abstained from voting on the UN General Assembly resolution demanding an immediate ceasefire in Syria. Nepal was among 35 other nations that abstained from voting. Similarly, despite threats from the United States to withhold “billions” of dollars in US aid for countries which would vote in favor of a UN resolution rejecting the US decision to recognize Jerusalem as the capital of Israel, Nepal voted against the US call in December 2017.